Overton's Cortrice Golden shoots over Ridgeway's Odegua Oigbokie (34) and Ashley Jackson for two points as the Wolverines won the District 15-AAA title. No Erica Ousley. No problem. Ousley, the former Fairley star, led the Bulldogs basketball team to last year's District 16-AA championship. This year, however, the Lady Bulldogs relied on their potent defense to clinch their second consecutive district crown with a 52-43 victory Wednesday night against host Booker T. Washington. Behind a harassing full- court press, Fairley (22-8) jumped to a 22-15 halftime advantage and never relinquished their lead. Sophomore Erica Watkins came up with a crucial rebound in the game's final minute when the Lady Bulldogs were protecting a two- point lead. She earned the tournament's Most Outstanding Player award. Fairley junior Brandi James' 20 points led all scorers. Watkins finished with 15. "I was expecting this," Watkins said. "(Winning the district title) this year was special. Just because we lost one person doesn't mean we couldn't come back and do it again this year. Losing a key player didn't hurt us much because we worked harder together as a team, from the coaches, to the guards, to the forwards, everyone." For Washington (14-11), Wednesday's loss snapped an eight-game winning streak. Lady Warrior coach Derek Hunter labeled the setback difficult to stomach. "We've been playing great," Hunter said. "We won eight straight, and then when you get a chance to host at home and we don't show up. There's no excuses for the way we played tonight. We were never out of the game. We just never picked it up." Laquaris Harris' 13 points led Washington. Both teams advance to Friday's first round of the Region 8-AA tournament. Fairley will host Kingsbury, and BTW will be at home against Northside. Tournament Most Valuable Player Cornelia Fondren and Jasmine Stafford each scored 13 points as Overton (26-5) claimed the District 15-AAA title for the third year in a row, jumping on Ridgeway early before winning, 52-37, Wednesday night at Houston. "We wanted to get a lot of help on (Ridgeway star Hasina) Muhammad," said Lady Wolverines coach Lynn Smith. "Defense spearheads everything we do. 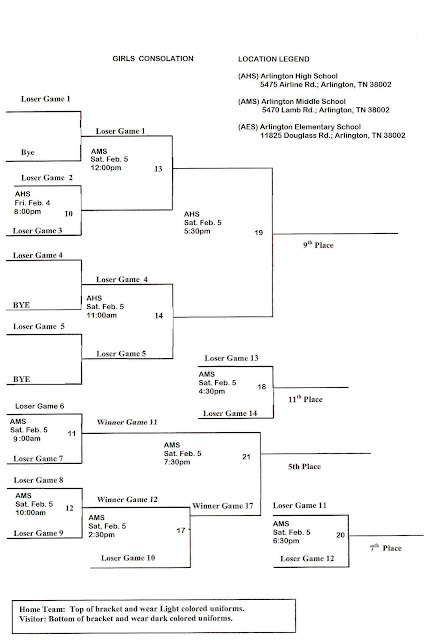 And we played a tough (pre-conference) schedule, with tournaments in Virginia and St. Louis. They're growing up right in front of our eyes." Muhammad scored 16 to lead the Roadrunners (19-8), who trailed 20-6 after the first quarter and couldn't get anything going..
Nina Davis led Central (22-9) to a 59-48 win over White Station at Spartan Palace in the District 16-AAA title game. Davis, a sophomore, scored 18 points and was named tournament MVP. 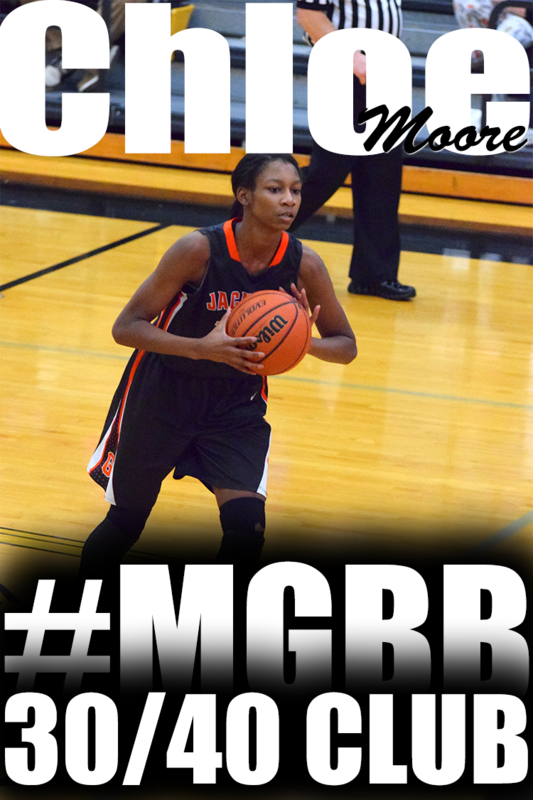 Junior Aaliyah Whiteside chipped in 16. Jasmine Settles led the Spartans (26-5) with 19 points. 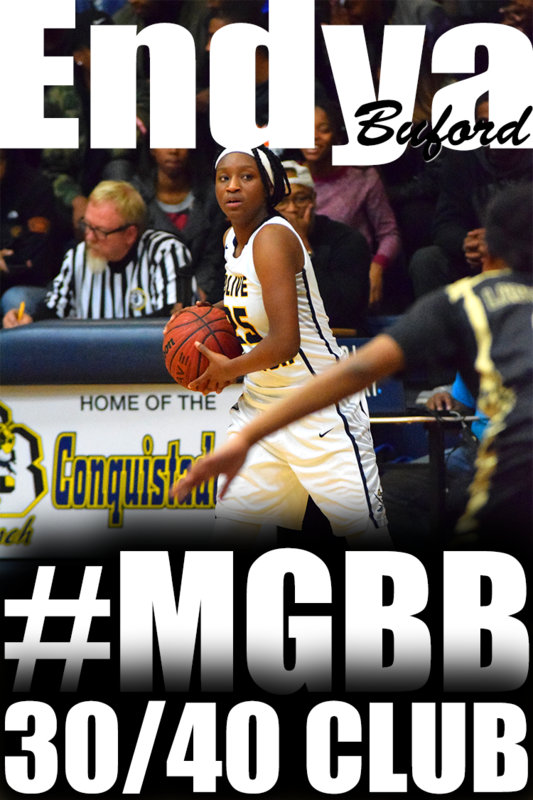 In the consolation game, Whitehaven (22-7), behind Jessica Howard's 15 points, defeated East (13-13), 49-46. Tournament MVP Lillian Pittman's 17 points led Trezevant (16-7) to a 48-47 victory over Manassas (23-7) in the District 15-AA championship game at Northside High School. Victoria White had nine points for Manassas. Central’s girls can be a pretty basketball team to watch most nights. When the Warriors play White Station, it usually isn’t one of those nights. Yet after another night of scratching, clawing – and high decibel levels from both benches – it was the Warriors holding another District 16-AAA District Championship plaque after inching away to a 59-48 decision Wednesday night over the defensive-minded Spartans at White Station. Sophomore Nina Davis earned tournament MVP honors with 18 points for the Warriors (22-9), but other than the airbrushed hats each player got with their names on them, there seemed to be no particular charm in this particular championship. Camille Alberson hesitated a second before the final inbounds pass -- as if she might have to blink back something moist at any second. But Arlington's senior center passed the basketball, took it back and as a satisfied smile sprouted, she cradled it in her arms like a firstborn child. In a way, it was -- as the final seconds ticked off to the Tigers' first District 14-AAA championship, earned with a 51-44 decision over Craigmont Tuesday night at Bartlett. "I've waited four years for this. We all have," said Alberson, who scored 12 points. 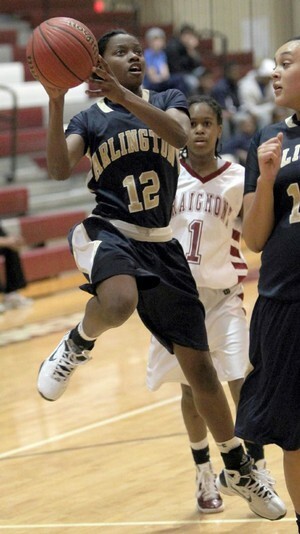 Junior guard Ariel Hearn was named Tournament MVP after scoring 16 points, and delivering a series of fast-break assists that had helped Arlington break open a 28-21 lead early in the third period. Junior guard Chrystin Hopper added 11 points. Douglass survived streaks of shaky shooting and ballhandling Monday night, but held it together to clinch a second straight District 16-A girls basketball title, 71-53, over visiting City University School. Yet lately the idea of "holding it together" goes far deeper for the Red Devils (23-2) than a few more made free throws or a few less turnovers. Head coach Elizabeth Marable was hospitalized last week with a heart condition that will require surgery, according to Douglass athletic director Ted Anderson. "It's a matter of waiting to see when the doctors want to get it done," Anderson said. "We're trying to keep things together as best we can -- and we're all praying." Assistant Marion Curry has been running the team in Marable's absence. But during several timeouts, boys coaching legend Anderson would step into the huddle. The team spent halftime practicing free throws after going 8-of-23 in the first half. Even with his team well in command in the closing moments of Monday night’s District 16-AAA semifinal game against East, White Station girls basketball coach Darryl Durham wasn’t done exhibiting his animated demeanor. With 2:28 remaining in the fourth period and the Lady Spartans in front by 21 points, White Station freshman Courtney Banks checked into the game, but not before she got an earful from the usual outspoken Durham. White Station’s convincing 58-37 victory against visiting East came to fruition, in part because Durham not only has emerged as one of Shelby-Metro’s most successful coaches in his brief time at White Station, but also because of his unyielding efforts to getting the most out of his players. In boys basketball, he is known as the coach that gets his players national recognition and ranked. He has had as many as 4 players ranked in the Rivals.com national ranking at the same time. Central's Jarnell Stokes was under his leadership when he became Memphis' highest national ranked player ever at #3. Coach Rhodes' Memphis Select Boys organization entering its 5th year in existence alumni include college freshman Nate Rucker (Melrose) at Northern Illinois and this years class Cedrick McAfee (Melrose) heading to Auburn, Aaron Jones (MS) heading to Ole Miss, and Octavious Ellis (Whitehaven) heading to Cincinnati. Coach Rhodes has decided to bring his magical touch back to girls basketball. He was part of the staff that helped bring national recognition to Memphis girls basketball with the creation of Memphis Elite and MidSouth Lady Tigers programs. Also on the staff was Patosha Jeffery. Alumni from the programs includes Alliesha Easley (Ole Miss), LaKendra Phillips (Florida/Ole Miss), Jasmine Taylor (Arkansas State), Ashley Herring (Austin Peay), Kurstin Stallings (Florida A&M), Cheron Brown (Chattanooga State), Brittany Butler (Southwest TN), Danae Lawrence (Miss Delta), Lennisha Johnson (Kennesaw State), Candace Rucker (Colorado/Southern Miss), Amy McNear (Western Kentucky), Danielle Richardson (Chattanooga State), Jessica Plunkett (Christian Brothers), Ashley Martin (Southern Miss), Shonice Sprouce (McNeese State/LeMoyne Owen), Alexis Givands (South Florida), Andrea Holmes (Binghamton), Mary Jackson (Louisville/Memphis), Asia Minter (Kennesaw State), Deja Foster (Georgia Tech), Raquel Brigham (Southwest TN), Tanesha Washington (Southern Miss), Jakena Jordan (Southwest TN), and Courtnie Gregory (Southwest TN). successful and have the chance to receive college basketball scholarships. Savannah Kimmons emerged from the locker room following Monday night's game against Tupelo with an ice pack draped over her left hand. Horn Lake coach Janna Lyons, however, was quick to dismiss the notion of her power forward having sustained an injury to her left index finger. "Man, there is nothing wrong with that girl," Lyons jokingly said. If, in fact, Kimmons was hampered by a hand injury earlier in the week, she did not show any signs of it during Saturday night's MHSAA Class 6A North Half championship game against Northwest Rankin. 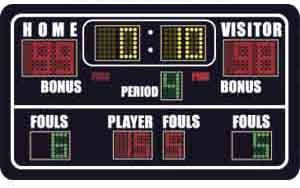 The 6-1 junior was the catalyst of the Lady Eagles' 53-42 victory that earned them their third consecutive North Half title, in large part because the visiting Lady Cougars had no answers for her in the post. Kimmons scored a game-high 22 points and produced the bulk of damage during a pivotal second quarter after Horn Lake (22-3) had battled to a 13-10 lead. 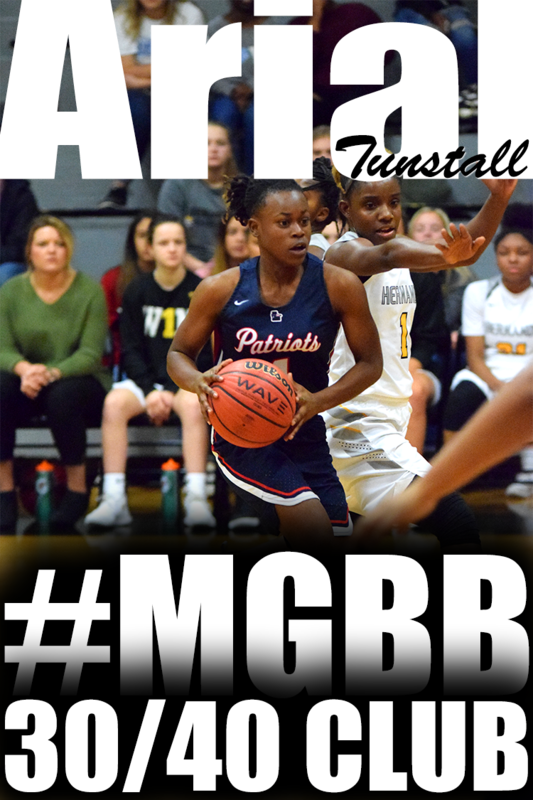 She scored 12 points in the second, mostly on turnarounds in the lane and stickbacks, as the reigning state champs outscored a seemingly fatigued Northwest Rankin squad 18-5 in the second to build a 31-18 lead at the half. Prior to Saturday's contest, both teams had secured berths to the Class 6A state tournament in Jackson, Miss., that begins March 2. However, Horn Lake clinched the tournament's No. 1 seed for the second straight year and will face Meridian in the state quarterfinals. Northwest Rankin (21-8), the Region 3-6A runnerup, will play Jim Him out of Jackson in the quarters. Senior swing man Brittani Biggins scored 12 points and Brittany Grant added 10 for the Lady Eagles who extended their unbeaten streak to six games. University of Memphis Lady Tiger, Bilqis Abdul-Qaadir, was awarded the Most Courageous Award by the United States Basketball Writers Association (USBWA). The United States Basketball Writers Association annually recognizes a player, coach, official or administrator who has demonstrated extraordinary courage reflecting honor on the sport of amateur basketball. Along with the award, the USBWA presents a $1,000 check to the charity or scholarship fund as selected by the recipient. Arsalan Kazemi of Rice and Bilqis Abdul-Qaadir of Memphis – two student-athletes with similar backgrounds who have had to endure bigotry and discrimination to play college basketball at their respective institutions – have been named co-winners of the Most Courageous Award. Kazemi, a sophomore forward at Rice, is the first Iranian-born athlete to play NCAA Division I basketball. Abdul-Qaadir, a freshman guard at Memphis, is believed to be the first Muslim woman to play in Division I with her arms, legs and hair covered during games in accordance with her Muslim faith. The Horn Lake girls basketball team has big plans for March -- a trip to the Mississippi High School Activities Association Class 6A state tournament in Jackson. The defending state champions, though, aren't quite done making their February playoff splash. The Lady Eagles secured another trip to the Mississippi Coliseum with Friday's 68-62 victory over visiting Jackson Murrah. Tonight at 7, a game against Northwest Rankin will determine the North's top seed. NW Rankin defeated Columbus, 85-69, in the other semifinal Friday. Both squads open state tournament play March 2. "The majority of the girls that are getting minutes -- at this point -- many of them can say they weren't even dressing out varsity last year," said Lady Eagles coach Janna Lyons, "so for them to come in with that determination, that focus and to be able to contribute in the ways that they have, I'm so proud of this group of girls." Horn Lake (21-3) won more than the opening tip. Lyons' players dominated the first period, outscoring Murrah 19-4. While Lytia Coleman was knocking down a pair of 3-pointers, the Lady Mustangs failed to make any field goals. 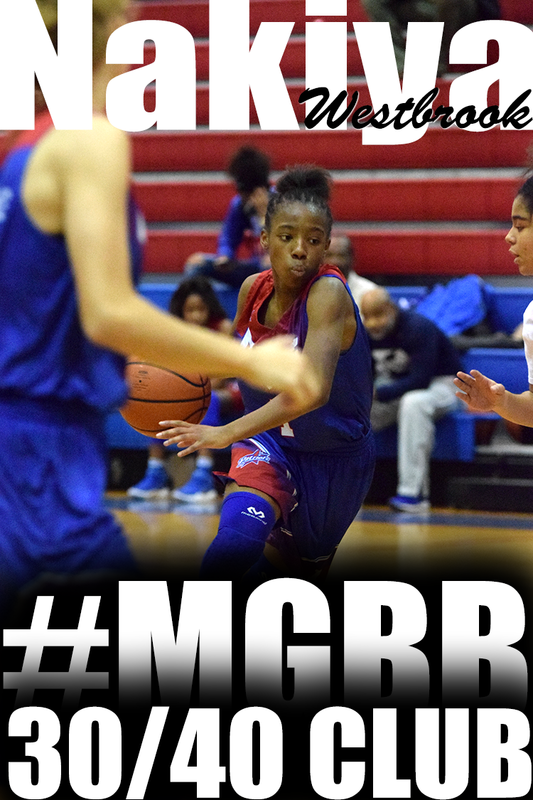 Kalisha Washington and Sarah Blackmore scored all of Murrah's points from the free-throw line. "We were excited and just ready to go," Horn Lake senior guard Rosalyn Odum said. "We knew we had to come out strong." The Lady Mustangs (19-9) made a 10-0 run midway through the second period, but Horn Lake answered with a 10-point stretch and took a 36-19 lead into halftime. It was a back-and-forth third period, but the Lady Eagles led 49-38 entering the final period. Horn Lake had its hands full with Washington, who scored Murrah's first nine points in the fourth. A fifth foul ended her night at the 1:02 mark. Washington finished with a game-high 26. The last six points for the Lady Eagles came on free throws by Brittany Grant. It's one of the oldest clichés in sports, but Overton's belief in that old adage was the primary reason the Lady Wolverines beat White Station Friday night, 42-36, at Wooddale High School to claim the AAA MIAA City Championship. "That's the main thing we do ... defense," Overton junior guard Cornelia Fondren said. "Everything we do begins with defense. That's all we do." Overton's stingy defense was on full display in the first half, holding White Station to just three field goals to take a 25-12 lead into halftime. White Station (25-4) began the third quarter on an 11-0 run to trim the lead to two points with 4:09 left in the period. Lady Spartan senior Brianna Ridgell scored six points in the run and White Station appeared poised to make the game close down the stretch. But Overton (24-5) clamped down again. Thanks to the play of Fondren and junior Jasmine Stafford, the lead was 10 points again when the fourth quarter started, and White Station never got closer than five the rest of the way. With 35 seconds left and Overton leading 39-34, a 3-pointer by White Station senior Durriya Shields missed its mark and the Lady Wolverines made 3-of-4 free throws to seal the win. "This feels great because this a whole different team," said Stafford, who was named the game's MVP after scoring 13 points. "We showed everybody that we can do it. For a team that lost six seniors, we're doing pretty good." Fondren also scored 13 for Overton. 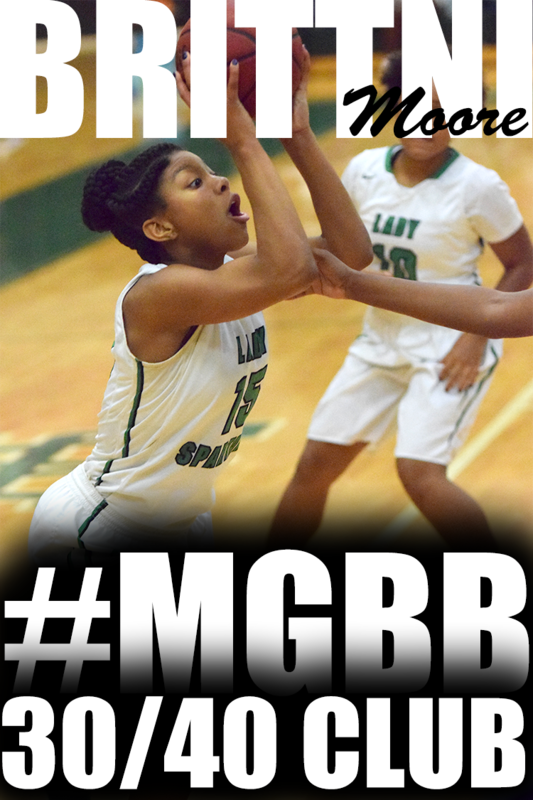 Ridgell led White Station with 14 points and senior Ashley Small added nine. White Station defeated Overton 52-45 on Dec. 7. "We played terrible," White Station coach Daryl Durham said. "A lot of the credit goes to Overton though. We didn't attack. We played passive. Hopefully it will be motivation. Hopefully they will regroup and play hard in the district Monday." Overton head coach Robert Woods led his team to the state semifinals last year, but didn't win a city title. "They always wanted one," Woods said. "This group has been there three times. They gutted it out tonight, but we lost a little focus in the third quarter." In the AA title game, Manassas (22-6) defeated Fairley, 56-53. Manassas senior Tiffany Jones, who was named the game's MVP, led the Lady Tigers with 13 points. Fairley senior Marcquasha Evers led the Lady Bulldogs (19-8) with 19. Fairley senior Brandi James missed a potential game-tying 3-pointer with two seconds left. Kaylah Keys was absolutely spectacular, scoring 40 points. But teammate Ki’ana Christy was spectacular when she absolutely had to be, hitting four key free throws at the end of regulation as Harding Academy rallied for a 55-49 overtime win against University School of Jackson Thursday night in the Division 2-A West Regional girls basketball semifinals at Evangelical Christian School. Sisters Samantha and Emily Reeves led a dominating performance as Fayette Academy rolled to a 47-22 decision over St. George’s. 6-foot junior Samantha Reeves established the essential truth: The paint belonged to her. She blocked seven shots before halftime, including Gryphon pivot Taylor Money five times. Reeves added a dozen points, and the Vikings filled in the rest of the blanks nicely. Emily Reeves, a sophomore guard, led the team with 13 points while junior guard Victoria Crawford scored 11, including back-to-back 3-pointers that capped a 14-2 second quarter for a 27-11 lead at break. 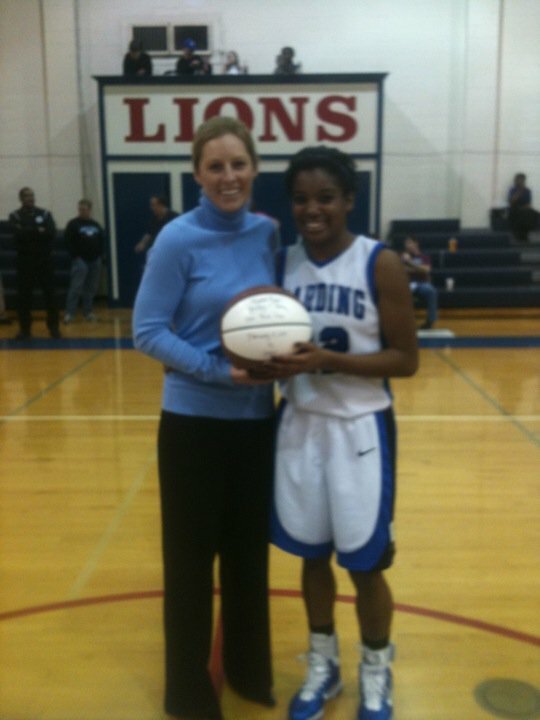 Harding Academy's sophomore, Kaylah Keys, was awarded a 1,000 point club basketball from her coach, Becky Starks, last night before their game against Jackson Christian. Harding Academy defeated Jackson Christian 58-51. 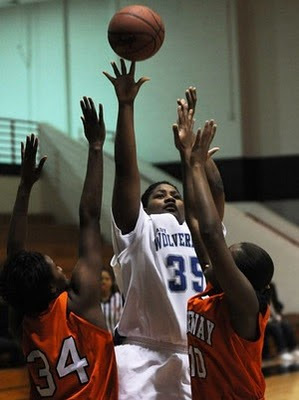 Kaylah scored 29 points in the Division 2-A West Regional contest. Fairley vs. Manassas, 3 p.m.
Hillcrest vs. Manassas, 4:30 p.m.
White Station vs. Overton, 6 p.m.
Melrose vs. Ridgeway, 7:30 p.m.
Others receiving 12 or more points: Jefferson County 21. Others receiving 12 or more points: CPA 13. Gibson County 13. Others receiving 12 or more points: North Greene 17. Horn Lake 55, Southaven 48: The Lady Eagles are the reigning state champions. So coach Janna Lyons didn’t feel it was necessary to say much to her players at the half of the Region 1-6A title game and her team trailing by an eight-point deficit. Horn Lake (16-3), as a result, rallied behind the valiant performance by Lytia Coleman, who scored a game-high 30 points to help propel the Lady Eagles to their third consecutive region title. 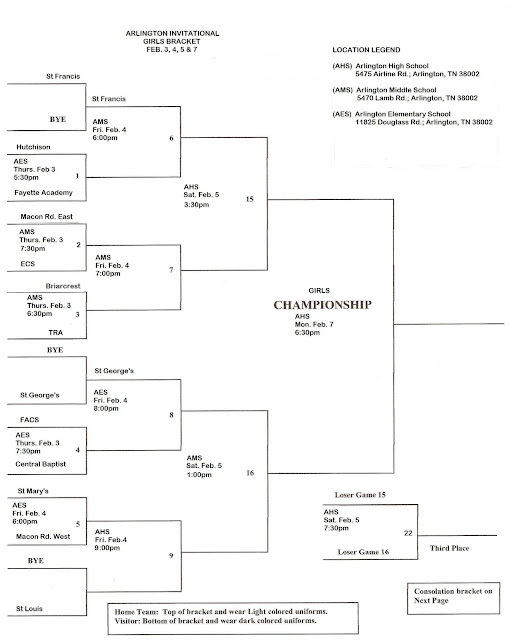 The Lady Eagles will host Tupelo Monday at 7 in the opening round of the North Half tourney. 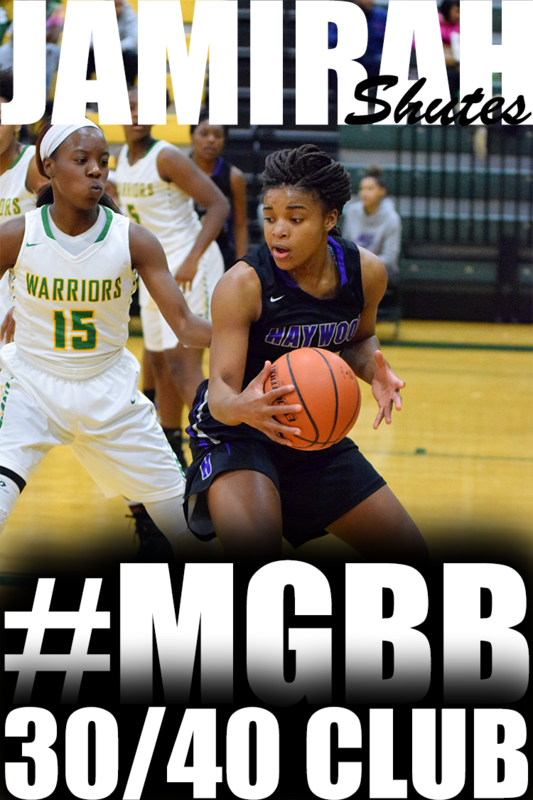 The Lady Chargers (18-5), who were led by A’Queen Hayes’ 16 points, will travel to face Columbus on Monday. Snowden defeats Hickory Ridge 55-46. The 20th annual All-America Game, which is held as part of the WBCA National Convention, will be played Saturday, April 2, 2011, at the Conseco Fieldhouse in Indianapolis, Ind., site of the 2011 NCAA® Women’s Final Four®. Tipoff is 4:30 p.m. ET. The game will be played on the NCAA Women’s Final Four court for the second straight year. 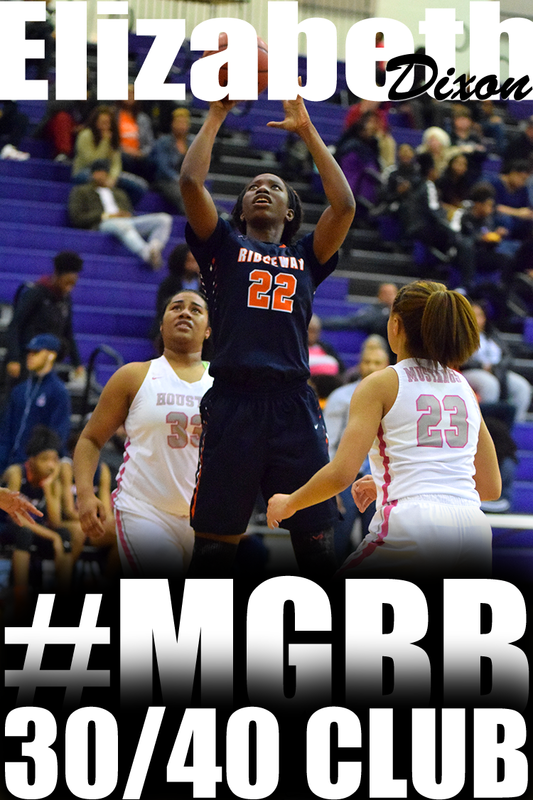 Hasina Muhammad (Ridgeway) received a WBCA High School All-America honorable mention. Commercial Appeal's John Varlas highlighted some players and teams earlier this week. This is what he said about Fayette Academy. The best winning percentage in the area belongs to the Lady Vikings, who are 21-1 following Friday's victory over Tipton-Rosemark. The win clinched the Division 2A-2 regular-season title for Fayette, and coach Rick Sullivan says his team is looking to keep the momentum going heading into the postseason. "It was an honor to play at Knoxville Webb in the substate last year," he said. "But this year, I would rather play much closer to the Tennessee River, or the Mississippi River for that matter. "I want the girls to be the best they can be. I want them to play up to their potential, without me messing everything up." Fayette's only loss was on the road against Jackson Christian in early January. They avenged that one last week, with sisters Samantha and Emily Reeves combining for 31 points in a 58-47 victory. Emily, a 5-7 sophomore, was the player of the year in the district as a freshman and hasn't slumped, averaging 13.5 points. 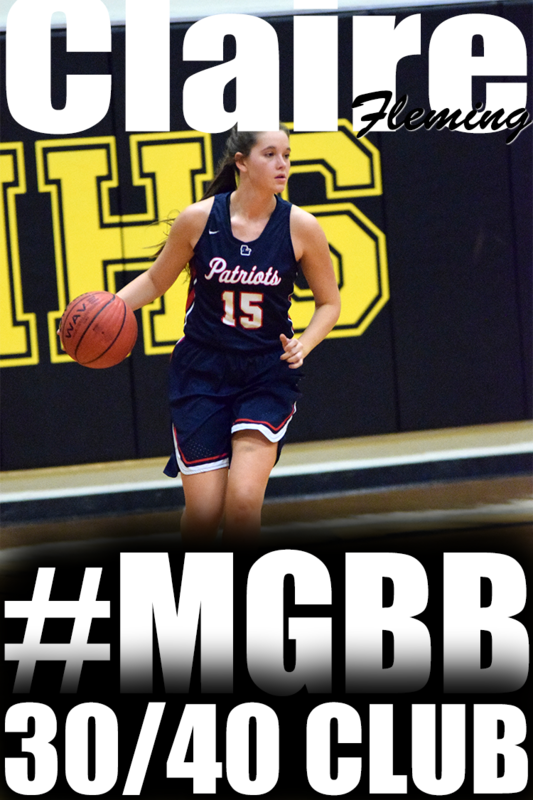 Samantha has improved greatly this season, averaging nearly 16 per contest, and the 6-0 junior is also finding good value in a forgotten basketball art. "She's buying into the value of the bank shot," said Sullivan. "I think her dad said he'd give her a dollar for every bank shot she makes, so she says she's taking it to the bank." Kaylah Keys, Harding Academy basketball: Keys, a sophomore, scored 29, 30 and 45 points in three games this week. She helped the Lions win all three games and improve to 13-0 in divisional games and 17-6 overall. Commercial Appeal's John Varlas highlighted some players and teams earlier this week. This is what he said about Kaylah. Kaylah Keys, Harding, sophomore: Mr. and Miss Basketball talk is already well under way, and Keys will definitely be in the conversation in Division 2-A. 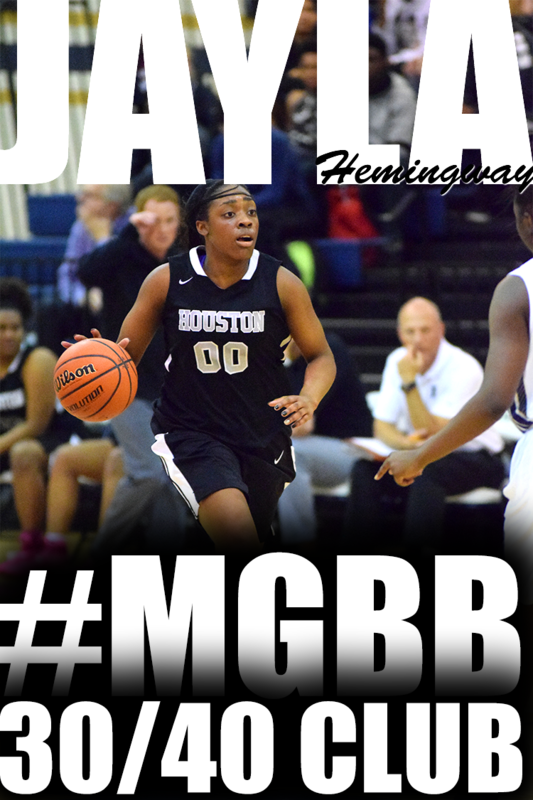 Keys played a pivotal role as a freshman last season when Harding won the state title -- averaging 15 points and six assists per contest -- and has elevated her play a notch or two this year. 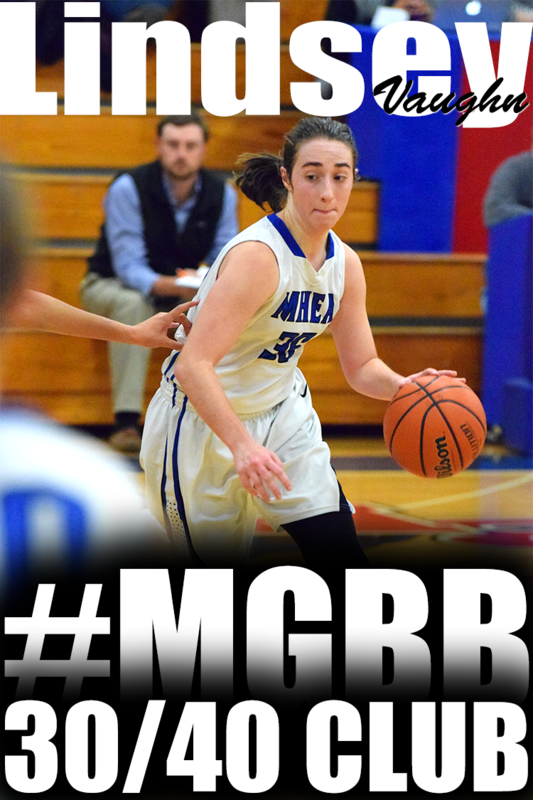 Through Tuesday, she was the leading scorer in the area, averaging 23 points per contest. Her top performance so far this season was a 37-point, nine-rebound effort in a 61-44 victory over SBEC on Jan, 14. She's also a disruptive defensive force, averaging 4.7 steals per game. Ariel Hearn flipped the switch on her shooting touch late in the first quarter, and the rest of Arlington's night seemed to take care of itself Tuesday as the Tigers rolled to a 51-35 victory at Craigmont, clinching the school's first District 14-AAA regular-season title. .......The Tigers were up, 24-17, at halftime thanks to 15 points from Hearn, who averages 13.2 on the season. She didn't score again, but the rest of the Arlington lineup checked in at varying points in the second half. Junior forward Logan Hammonds had seven of her nine points in the second half and backup senior center Amber Starks had six of her eight. Christyn Hopper added seven in the final two quarters and after a rough first half, senior pivot Camille Alberson added a half-dozen. Briarcest Christian's Adrienne McKay wasn’t as prolific, or dramatic, as she was the last time around against St. Benedict. But the 5-4 senior guard was just as effective down the stretch, leading the host Saints to a 45-37 victory Friday night that clinched the 2-AA West Region regular-season title. Three weeks ago, McKay had 20 points, including the game-winning free throws in the final second of a 53-51 squeaker. Friday she wound up with 15, seven in the final quarter including four straight free throws and a closeout steal in the final 2:05. Samantha Reeves, Fayette Academy basketball: Reeves, a 6-0 junior, helped the Vikings win four games this week and improve to 20-1 on the season. Her two biggest games of the week were a 25-point, six-rebound performance against University School of Jackson and a 33-point, nine-rebound night against Rossville. The City Championships have been set. Hickory Ridge will meet the Undefeated 23-0 Lady Greendogs of Snowden Middle School. Hickory Ridge is ready and fired up for this match up after losing earlier in the season to Snowden in the MLK Middle School Tournament. Hickory Ridge coach, Gwendolyn Martin says that her team is ready for the rematch. The Game is Schedule for 4:00pm Wednesday February 2nd at Colonial Middle School. 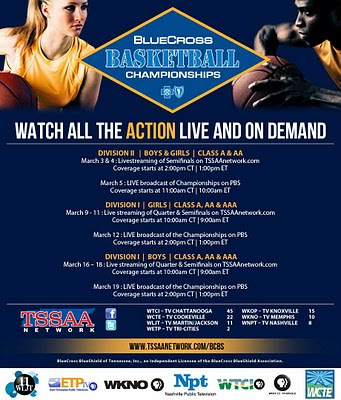 In the Small School City Championship it will be J.P. Freeman and the Cypress Lady Wolves. Cypress is the real Cindarella team this year with a new coach in Wesley Cincore and a group of kids that is eager to learn the game and perfect it. It has been at least a decade since. 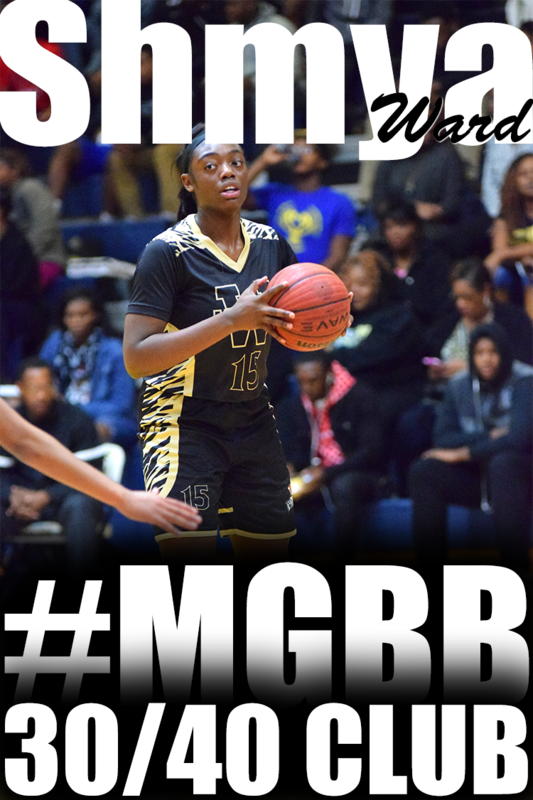 One thing for certian Miyah McCoy and the Lady Panthers are not gonna let newcomers come in and take what they have build up. The Small School Sectional will be at 4:00pm at Lanier Middle on Wednesday February 2. 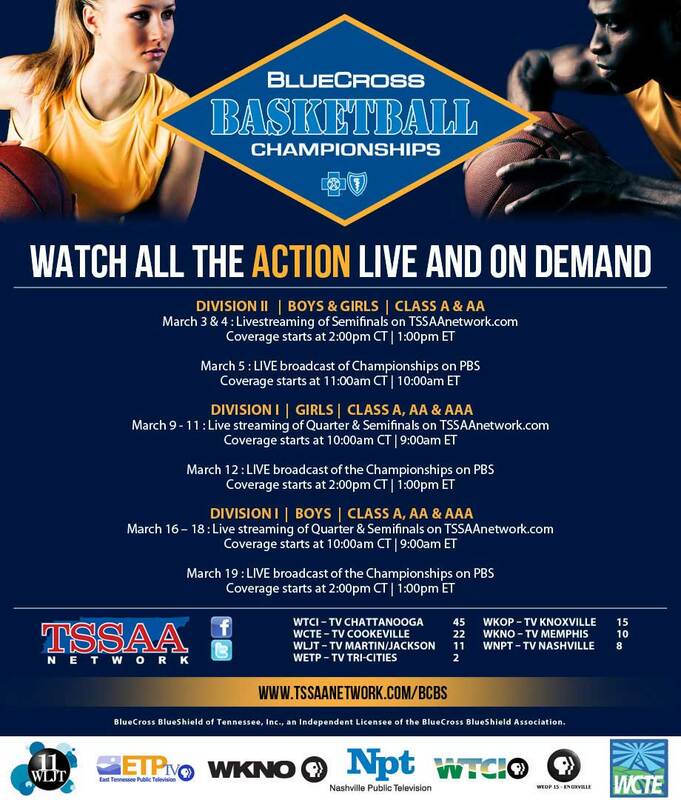 Don't miss the action.